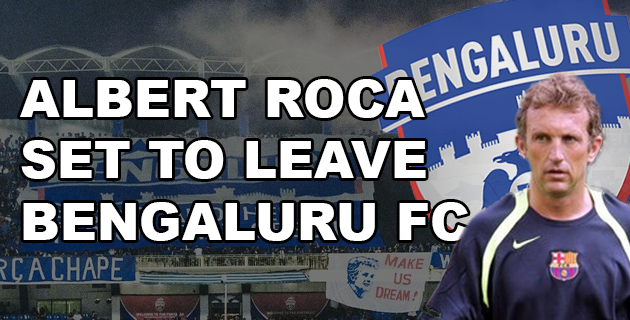 After a two-year stint as head coach of Bengaluru FC, Albert Roca is set to leave the club at the end of the 2017/18 season. The Spaniard led Bengaluru FC to multiple cup titles during his reign, taking home the Federation Cup in 2017 along with the inaugural Indian Super Cup in 2018. After signing a two-year deal in 2016 the club enjoyed immediate success with Roca’s appointment, with an appearance in the 2016 AFC Cup Final, losing out to Al Quwa Al Jawiya. Bengaluru would also make an appearance in the 2018 Indian Super League final during their inaugural season in the competition. Despite collecting admiral silverware for the Bangalore outfit, many will feel the club missed out on league success opportunities, including failing to defend their I-League title and ending the season in fourth place. The rumour mill has already gone into overdrive over possible replacements for Roca, with the likes of former ATK boss Antonio Lopez Habas and former Bengaluru FC manager Ashley Westwood being touted.